Every second, 22.000 PET bottles are consumed in the world. The majority of those bottles end up in the wrong places, resulting in a huge waste flow and negative impact on our environment. In order to help reduce plastic waste, we developed Eco Essence.This award-winning roller blind fabric is made of 100% PET bottles, potentially reducing the number of PET bottles in the world by 64 million. 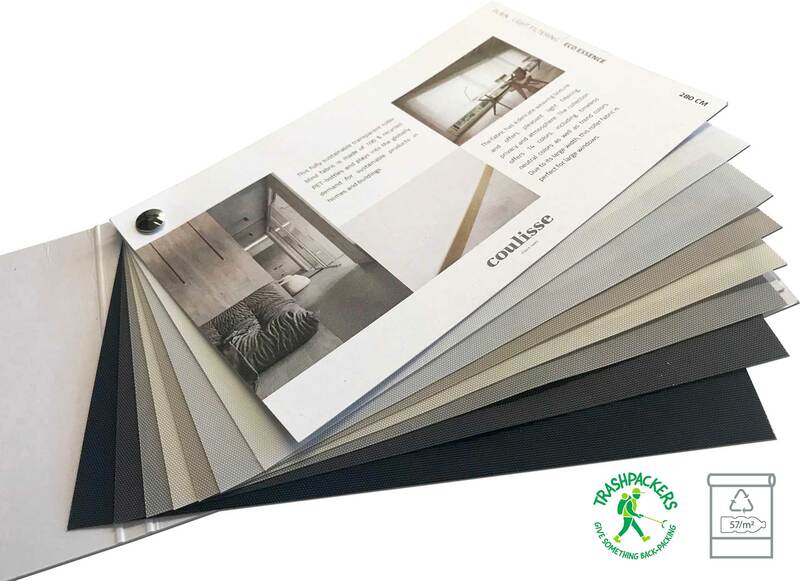 By choosing roller blind fabric Eco Essence, consumers contribute double to the reduction of plastic waste in the world: through their conscious choice for a sustainable product and the fact that we donate part of our turnover in Eco Essence to the clean-up platform for backpackers, Trashpackers. Learn more about Trashpackers and join our challenge or start donating! Are you interested? Please fill in the form and we will contact you soon!